Welcome to the top event of the year in the area of medical civil-military cooperation, named World CBRN & Medical Congress (CEBIRAM) and particularly to the Medical Concept Development and Experimentation Workshop (Med CD&E WS) that creates an integral part of the Medical Conference within CEBIRAM. For many years, medical services of NATO and its Partner Nations have been closely working together, in order to provide our troops with the best possible medical care at home and abroad. Deepening this successful cooperation the CZE Surgeon General and the Director of the NATO Centre of Excellence for Military Medicine (MILMED COE) volunteered to co-organize this event. On the other hand, NATO has been affected by long standing shortfalls in deployable medical capability and the overarching plan to address them has been endorsed by both the Military Committee and the Chiefs of the Military Medical Services in NATO (COMEDS). The plan specifies a number of complementary approaches needed to resolve or mitigate medical shortfalls and the requirement for alignment of effort within NATO. To achieve this, shared development of new concepts is required, as a starting point for national engagement and commitment. The multinational delivery of military healthcare requires such concept development including experimentation, based on common NATO CD&E principals. 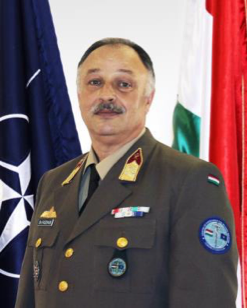 I would like to encourage you to actively participate in the MED CD&E WS, as well as the whole Medical Conference program, which I strongly believe will provide a great opportunity for mutual information exchange of the latest experiences, as well as potential solution of future challenges, that might be foreseen within NATO MED Arena. Please, take this WS as an opportunity for preparation of the MED subject matters experts, who might be potential participants in CD&E Activities during VW 19. Finally, I would like to express my special thanks to the Future Forces Forum for hosting our event and for all their efforts to make this event successful.